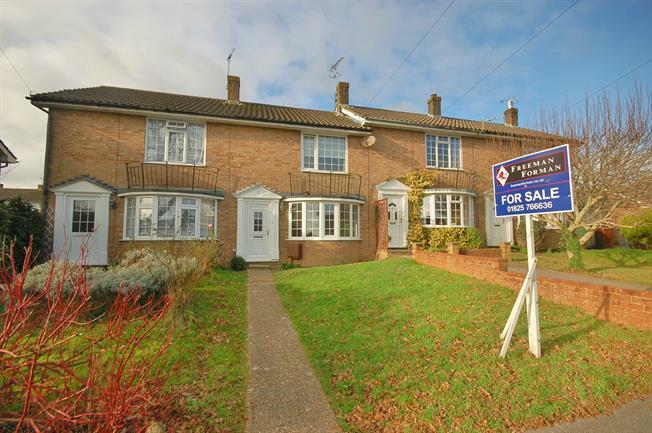 2 Bedroom Terraced House For Sale in Uckfield for Guide Price £250,000. PRICE GUIDE 250,000 to 265,000 Well presented two bedroom terraced home situated in a quiet close, within easy reach of local schools and shops, with garage and refitted kitchen and bathroom. Entrance Hall opening to the sitting room with double glazed bay window over looking the front, large under stair cupboard, open fireplace. Dining room with door to garden and opening to refitted kitchen with integrated appliances. Two double bedrooms on the first floor with re fitted family bathroom. The property is double glazed and has gas central heating. The secluded garden to the rear is mainly laid to lawn with timber garden shed with power connected.